Just Listed :: Charming Contemporary in Ashford Park! Welcome Home! Nestled on a quiet bend of a popular street in Ashford Park, this home has been well maintained over the years. The custom features and charming character of this home will never go out of style. 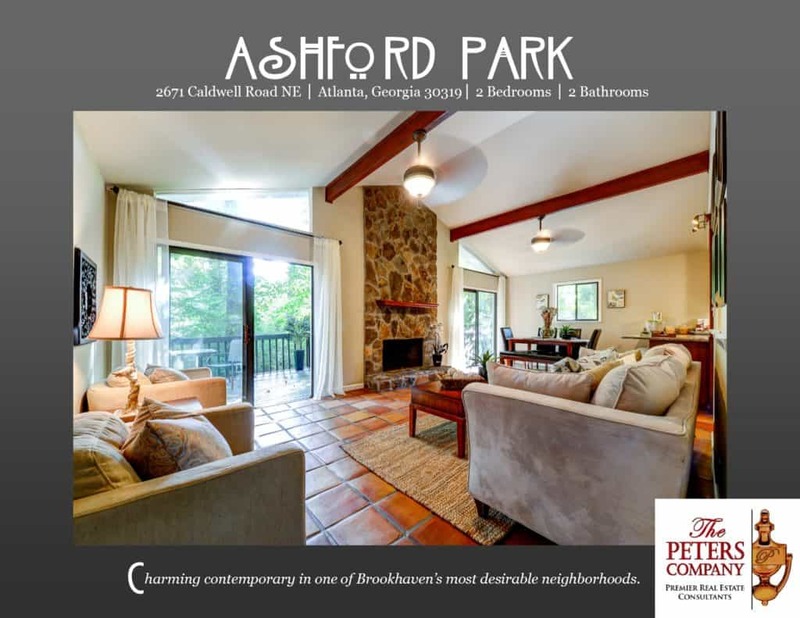 The close proximity to Peachtree Road, I-85, and GA400 makes it convenient to and from any direction. Did we also mention that you are literally only minutes from all your favorite hot spots at Village Place Brookhaven including Haven, Valenza, Verde, Kaleidoscope, and Pour? Kitchen features granite counters, stainless steel appliances, pantry, and breakfast bar. Spacious living room has vaulted ceiling and gas starter fireplace with stone surround. Master suite is a true retreat including a walk-in closet with Elfa shelving and master bath with granite vanities. Basement has stone fireplace and provides great additional living space. Two car garage a bonus for the area! Wonderful outdoor space includes a wrap around deck overlooking the wooded backyard. New carpet in both bedrooms. ← Just Listed :: Charming Ranch in Duluth Swim/Tennis!